Like many, I was surprised to hear that Sony and Marvel were rebooting the Spider-Man movie franchise with another attempt at the Peter Parker origin story. Once the teaser trailer was released, that skepticism became tinged with a little bit of nervousness because everything being presented seemed to be a bit unnecessary - redundant. 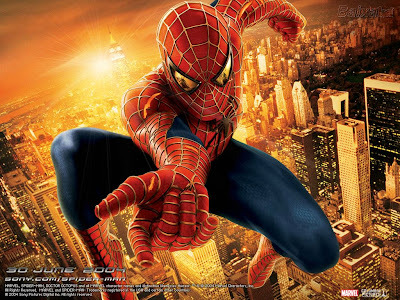 2002's Spider-Man movie covered the basics in a pretty satisfying way: Peter was a science nerd, he got bitten by a spider, Uncle Ben was killed, with great power, etc. The lingering question with 2012's Amazing Spider-Man was this: how were the creators of this reboot going to take the same story and make it unique and interesting? I caught the movie on its opening night and I can answer unequivocally: they apparently had no idea, either, because a significant portion of this movie is just a scene-by-scene reshoot of the Tobey Maguire film...only not nearly as interesting. It's uncanny how much from the 2002 version made it into this new movie, and I'm not just talking about the major "spider bite, Uncle Ben" plot points. Remember the scene from Spider-Man with Peter and the wresting promoter? The one where the promoter refused to give Peter the money he thought he had fairly won? Well, there's a remarkably similar version of that in Amazing Spider-Man. Or how about the scene from Spider-Man where Peter draws up versions of his Spider-Man costume? Amazing Spider-Man has that one, too. Or the emotional Thanksgiving dinner scene from the 2002 version? Yep, Amazing Spider-Man has one of those as well. There are several other mirrored scenes, but you get the point. The big difference between the films, in my opinion, is the lack of humor or heart in this new story. 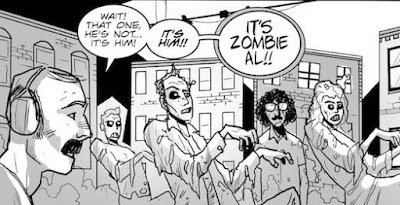 This may have something to do with the film's intended audience; in 2002, I was in college and felt that Spider-Man was produced with me in mind. 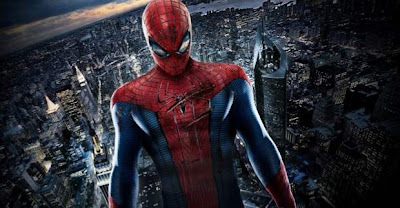 Amazing Spider-Man is probably shooting for that same demographic, a group that has undoubtedly been affected by the Twilight effect; this film's Peter Parker isn't awkward or shy as much as he is brooding, with shaggy hair, a penchant for riding a skateboard (there's even a montage scene!) and a desire to be sad about everything. Maybe that resonates with someone 20 years old in 2012, but it came off as a little melodramatic to me. I'd prefer that a film like this not take itself so seriously. This is not to say, of course, that the Sam Raimi films were perfect. Even Spider-Man 2, hailed fairly universally as the best of the three, had its flaws. And if Spider-Man 3 was the death sentence for the original franchise, then it was a fate that it brought upon itself, as over half of that movie was an unintelligible mess (dancing on pianos? Seriously??). The ill-fated Spider-Man 4, with John Malkovich as the Vulture and hints at a Lizard of its own, would have been the last film for Maguire and Dunst in any case, so maybe that franchise's time was up regardless of outside factors. But I can't help but feel that this new franchise, if Amazing Spider-Man merits a sequel, pales in comparison to the original in almost every way. In the end, my original concerns were justified and then some. Amazing Spider-Man is redundant, unnecessary and disappointing. Of course, it might just go and break a bunch of box office records and spawn (heh, Spawn) five sequels. 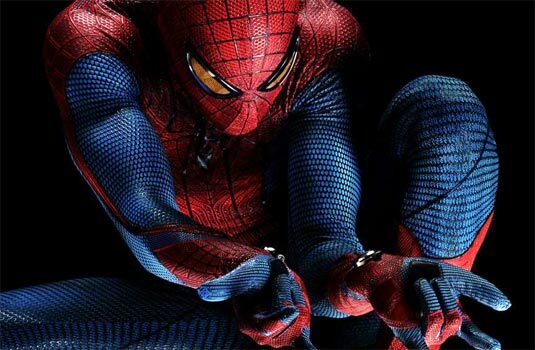 According to Box Office Mojo, the film set a Tuesday record for sales but is lagging behind each of the three Raimi movies. I'm not sure what Sony's projected numbers were for Amazing Spider-Man, but we probably won't have a solid understanding of the final outcome until the second weekend comes and goes. Either way, watching Amazing Spider-Man gave me an eerie feeling of stepping into another dimension, watching their version of 2002's Spider-Man, and realizing that we got the better of the two.